Come and join us: Senior School Exhibition - Saturday 27th April 10am-12.30pm - All welcome. Click here for more information. 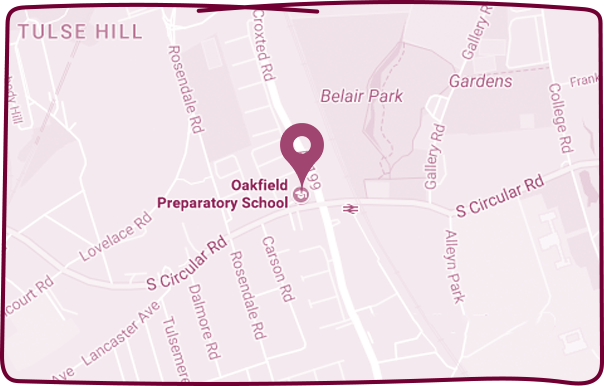 Oakfield preparatory school is an independent coeducational preparatory school for boys and girls aged 2 to 11 years old. We have been a part of the fabric of Dulwich for over 130 years and blend traditional values with the best of a modern curriculum. We are passionate about the future of our children, combining an academic programme of the highest standard with a choice of rich and diverse co-curricular activities that encourage our boys and girls to be the best they can be. From the very first time we experienced the Oakfield family’, at our son’s assessment, we knew we had found a school with a strong ethos of putting children first.